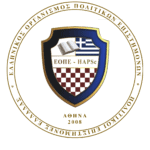 The Hellenic Association of Political Scientists (HAPSc) was founded in 2008 by political scientists with the aspiration of creating an alternative channel for additional education beyond academic curricula. It is a Civil Scientific – Professional – Nonprofit Association and it functions according to the principles of democracy, relying on and respecting the Greek Constitution and the Laws of the Greek State. Furthermore, HAPSc embraces the principles of the United Nations – as outlined in the UN Charter -, the European Convention of Human Rights, as well as those of International Humanitarian Law as a whole. HAPSc considers volunteerism, the advocacy of Political Science and the enhancement of the role of Political Scientists at local, regional and international level as its pillars. The Association defines the role of the Political Scientist as one that defends the need for freedom, peace, equality and respect for human life and dignity and touches upon the importance of research, development, the environment, culture and access to commodities. Since its establishment HAPSc along with its branch, HAPSc – Youth, has developed a series of multifaceted activities aiming to the guidance and support of young people of the field, who try to enter the labor market. Encouraging participation in civil society, HAPSc maintains cooperation with international and national institutions and intends both to cultivate the critical spirit of its members and to acquire a more decisive role in the formulation of political decisions for the protection and support of the role of young people in modern societies. HAPSc is in Special Consultative Status with the United Nations Economic and Social Council (ECOSOC) and a Member of the United Nations Academic Impact (UNAI). It remains the only representative of Greece in the International Coalition for the Responsibility to Protect (ICRtoP) while it is also a member of Child Rights Information Network (CRIN). the reinforcement of the role and the presence of political scientists and scientists from related academic fields in national and international decision-making bodies.